People extinguished their fires at in the hearth at home before they left and would reignite them using an ember from the bonfire, for good luck. The day after the bonfire the ashes were spread across the fields to further ward off bad luck for the farmers during the year. It was also traditionally believed that the bonfire encourages dreams,especially of your future husband or wife. It was said that if you drop a cutting of your hair into the embers of the fire, the identity of your first husband would be revealed. There are two schools of thought the reasons the Irish carried a Jack-o-lantern. One is that it is an ancient Celtic tradition, which, it turns out, is quite practical. In order to carry home an ember from the communal bonfire, the villagers would hollow out a turnip. Then they would place a burning ember inside. Not only could they carry the ember safely home, it illuminated their routes! This other version is spookier. Jack-o-lanterns date back to the 18th century. They are named after an Irish blacksmith, called Jack, who colluded with the Devil and was denied entry into Heaven. Jack was condemned to walk the earth for eternity but asked the Devill for some light. He was given a burning coal which burnt into a turnip that he had hollowed out. Some Irish believe that hanging a lantern in their front window would keep Jack’s wandering soul away. When the Scot-Irish emigrated to America they adapted the tradition and used a pumpkin instead as it is more difficult to find turnips. The community would gather around the bonfire and many would be dressed in elaborate animal skins and heads.The idea was that evil spirits would be scared off by the fires. The disguises (or costumes) served another purpose. If spirits happened to be wandering the earth and bumped into one of the Celts, they might be tricked into believing they were spirits as well, and let them go free. This is where our tradition of dressing up comes from. Trick or treat originated centuries ago. In Ireland, the poor would go from door to door, visiting rich peoples homes. They would ask for food, kindling or money. They would then use what they collected for their celebrations on Halloween. Samhain marked the end of the final harvest of the summer, and all apples had to have been picked by the time the day's feasting began. It was believed that on Samhain, the puca – Irish evil fairies– spat on any unharvested apples to make them inedible. As we all know fairies and goblin collect souls as the trawl the earth on Halloween night! Here is something you didn’t know! 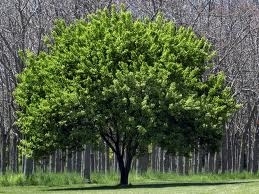 The story goes that if you threw dust from under your feet at the fairy they would release any souls they kept captive. However over the years this legend was changed. To find the origin of Halloween, you have to look to the festival of Samhain in Ireland's Celtic past. Samhain had three distinct elements. Firstly, it was an important fire festival, celebrated over the evening of 31 October and throughout the following day. The flames of old fires had to be extinguished and ceremonially re-lit by druids. It was also a festival not unlike the modern New Year's Day in that it carried the notion of casting out the old and moving into the new. To our pagan ancestors it marked the end of the pastoral cycle – a time when all the crops would have been gathered and placed in storage for the long winter ahead and when livestock would be brought in from the fields and selected for slaughter or breeding. But it was also, as the last day of the year, the time when the souls of the departed would return to their former homes and when potentially malevolent spirits were released from the Otherworld and were visible to mankind. The Celts celebrated four major festivals each year. None of them was connected in anyway to the sun's cycle. 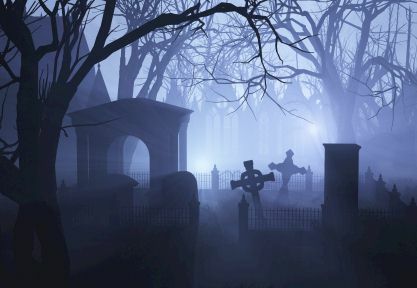 The origin of Halloween lies in the Celt's Autumn festival which was held on the first day of the 11th month, the month known as November in English but as Samhain in Irish. The Celts believed that the passage of a day began with darkness and progressed into the light. The same notion explains why Winter – the season of long, dark nights – marked the beginning of the year and progressed into the lighter days of Spring, Summer and Autumn. So the 1st of November, Samhain, was the Celtic New Year, and the celebrations began at sunset of the day before ie its Eve. 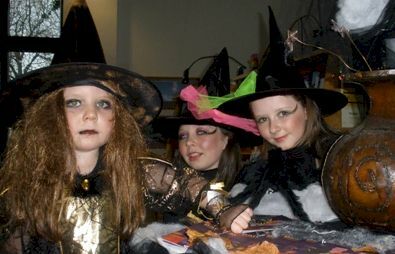 Three young witches prepare for Ireland's biggest Halloween celebrations in Derry. Harvest was celebrated by the Romans with a festival dedicated to Pomona, the goddess of the fruits of the tree, especially apples. The origin of Halloween's special menus, which usually involve apples (as do many party games), probably dates from this period. Pomona continued to be celebrated long after the arrival of Christianity in Roman Europe. So, too, did Samhain in Ireland and it was inevitable that an alternative would be found to push pagan culture and lore into a more 'acceptable' Christian event. Sure enough, the 7th-century Pope Boniface, attempting to lead his flock away from pagan celebrations and rituals, declared 1st November to be All Saints Day, also known as All Hallows Day. The evening before became known as Hallows' Eve, and from there the origin of Halloween, as a word, is clear. For Celts, Samhain was a spiritual time, but with a lot of confusion thrown into the mix. Being 'between years' or 'in transition', the usually fairly stable boundaries between the Otherworld and the human world became less secure so that puka, banshees, fairies and other spirits could come and go quite freely. There were also 'shape shifters' at large. This is where the dark side of Halloween originated. It was believed that on Samhain, the puca – Irish evil fairies (see right hand column) – spat on any unharvested apples to make them inedible. To ward off the evil let loose at Samhain, huge bonfires were lit and people wore ugly masks and disguises to confuse the spirits and stop the dead identifying individuals who they had disliked during their own lifetime. They also deliberately made a lot of noise to unsettle the spirits and drive them away from their homes. The timid, however, would leave out food in their homes, or at the nearest hawthorn or whitethorn bush (where fairies were known to live), hoping that their generosity would appease the spirits. For some, the tradition of leaving food (and a spoon to eat it!) in the home – usually a plate of champ or Colcannon – was more about offering hospitality to their own ancestors. Just as spells and incantations of witches were especially powerful at Samhain, so the night was believed to be full of portents of the future.